Zaha Hadid Architects as we'd imagine has a bustling schedule of ongoing, not to mention large scale projects, that any firm would drool over. Just this year, the Hadid Architecture enterprise finished the Stirling Prize winning Maxxi Modern Museum in Rome (go HERE to visit). 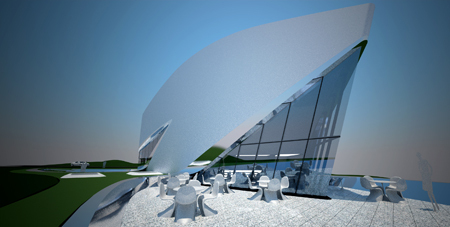 And with 2011 coming in, the firm is readying to launch yet another museum--in Asia this time. 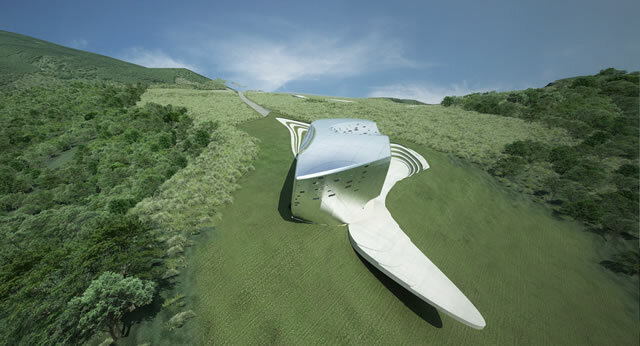 The Next Gene Architecture Museum by Hadid (pictured above) in Taipei, Taiwan is scheduled for completion by next year. Unlike the Maxxi Museum, in which the controversy of the featured exhibitions housed inside might face being compromised in being overshadowed by its holding structure. These types of concerns need no consideration when it comes to the Next Gene Museum. Its partial purpose in fact, is not solely to exhibit architectural works, but also for the building itself to function as one of the main features. The glass windows scattered around the museum are placed methodically to indulge the movement of the sun--taking advantage of the allowed light to shower inwards. 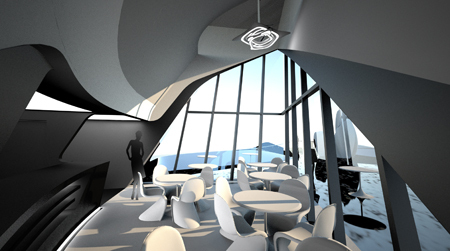 As shown above, the rendered image showcases how the dining area would rise to the occasion from said method. The positioning of the apertures are designated not only to spotlight the interior presentations, but also to frame the passage of time--again exposing the movement of natural light in a span of a day, as well as to magnify the nature that encircles the museum. The Next Gene sits atop of a hill in the northern part of Taiwan--in a country town called Au-Di in Taipei. Like Frank Gehry's Guggenheim in Bilbao, this ultra modern art mansion is ensconced in a desolated area, but a destination site that will most likely get ample traction by next year.